Implants: From Fiction to Reality!? Do you remember this man? 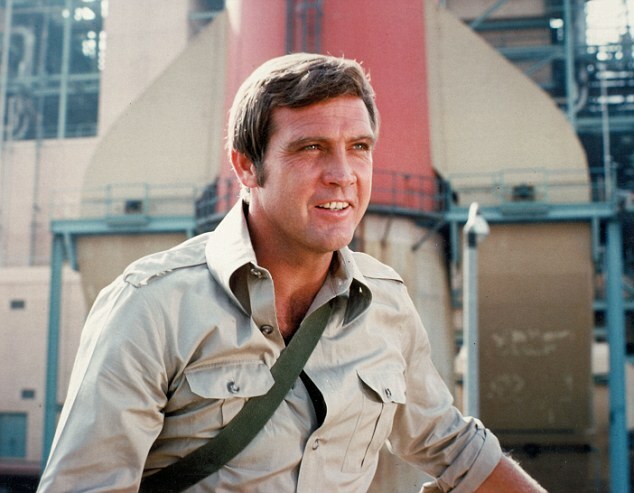 He’s Lee Majors playing the character of Steve Austin, better known as the Six Million Dollar Man. This science fiction series from the 70’s followed Austin through his amazing adventures as an special agent after he was “rebuilt” by a government organization. Steve Austin became a pop culture icon. When the 6 Six Million Dollar Man was aired the technology was seen as mostly science fiction. Rejection rates were high… but even then, we had come a long way since the very first prosthesis. Lynda: All on 4 Dental Implants Success Story!! 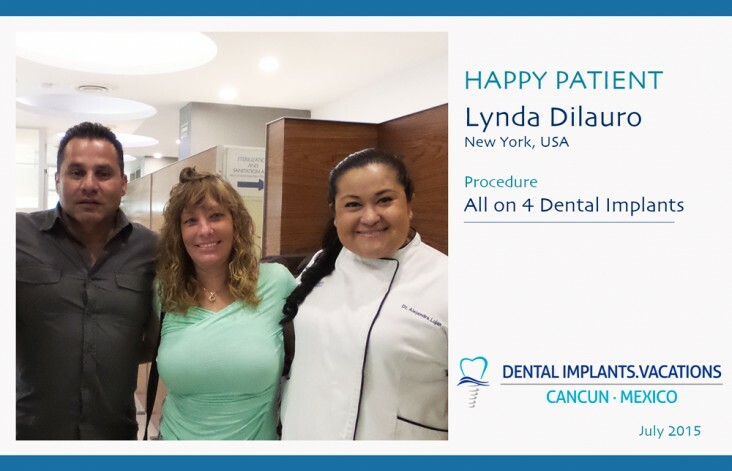 We would like thank our dear patient Lynda, who came all the way from New York to change her life. She’s so happy she can eat and talk normally again after she got the All on 4 procedure. The All on 4 procedure was developed by Doctor Malo, who discovered that by placing two dental implants in an angle and two vertical on the front could provide increased stability to a screw retained titanium bar with new teeth. Lynda is so happy that she came here and regards we did an excellent job with her new makeover smile. About 20% of Americans struggle to pay medical bills and 60% of bankruptcies are due to medical bills. The high cost of dental care can put considerable strain on household finances. Several studies have identified this as a ‘catastrophic dental health expenditure‘ or CDHE for short. Expenditure was defined as catastrophic if it was equal to or higher than 40% of the household’s capacity to pay. ALERT! 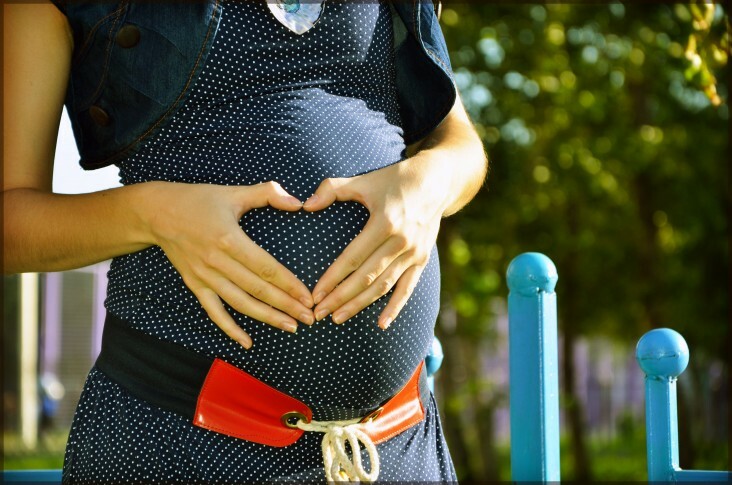 Dental health is vital for Pregnant Women’s well-being! When a woman realizes she is pregnant she focuses on improving her overall health. She starts to eat better, takes necessary supplements and tries to avoid any hazardous activities. What many might overlook is how much the dental health of an expectant mother might influence on her pregnancy. Research has indicated that women with periodontal disease may be at risk of adverse pregnancy outcomes, such giving birth to a pre-term or low-birth weight baby, reports the American Academy of Periodontology (AAP) and the European Federation of Periodontology (EFP). We were privileged to have Robert from Washington visiting us last month. He is a retiree who used to give maintenance to defense airplanes. 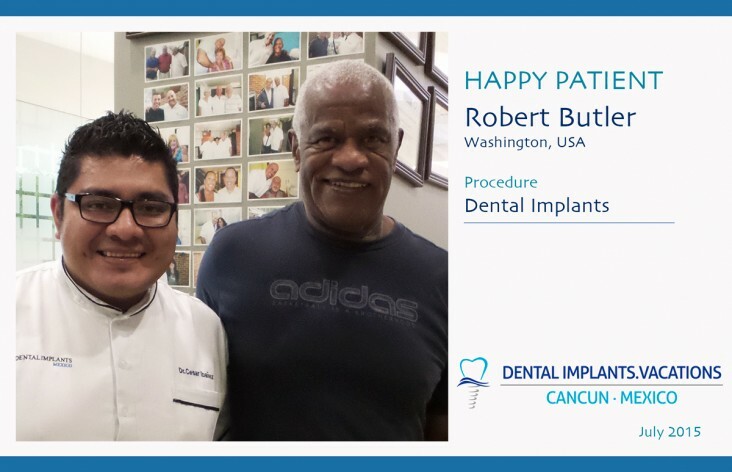 Robert started to lose his teeth because of his diabetic condition and because of this he had previous extensive dental work done on the States. Most of the results had been good but he knew he needed something definitive to get back his smile. Robert looked up his options on the internet and found out about our dental clinic in Cancun. He decided we were the best choice to renew his teeth. We use Grade 5 Titanium implants, which is an alloy that has the highest bio-compatibility rate with human tissue and bone, perfect for dental work. Similar treatments on USA and Canada would cost several thousand dollars, but you can get them done here in Cancun for much less than that. You can save up to 70% of the usual rates. He’s pictured above with our Mexican doctor Cesar Ibañez, who specializes on dental implants. Robert left through our doors with a huge smile and we want you smiling too! This is not the first time he have treated someone with diabetes. Even if you are diabetic you can also have dental implants. You will have to let us know when sending your x-rays about your condition. Also, talk to your doctor about possibly having small surgery to see if he has any additional indications to keep in mind. Start the change today and contact our offices by calling toll free from the USA or Canada at 1-800-701-6039 or send us your x-rays and photos so our doctors can evaluate your case, give you advice and see if your are candidate for dental implants, all on 4, all on 6 or even Snap in Dentures. Get the smile of your dreams just like you always wanted! YOU DESERVE IT! We have come to realize one important thing while working for so many years with dental implants. Several patients who have had chemotherapy were not warned about the possible side effects on their mouths, like tooth decay, falling teeth, gum infection and more. Get a makeover smile with Snap in Dentures while discovering the Natural Beauty in Tulum. Improve your health while enjoying an adventure between crocodiles and exotic species. Discover the first 3D Museum in Latinoamerica during your next dental vacation. Enjoy the Caribbean paradise with your best friend while getting an amazing smile in Cancun. Dental work while on vacations in Cancun. Explore marvelous reef and cliffs in Isla Mujeres showing off a great smile. 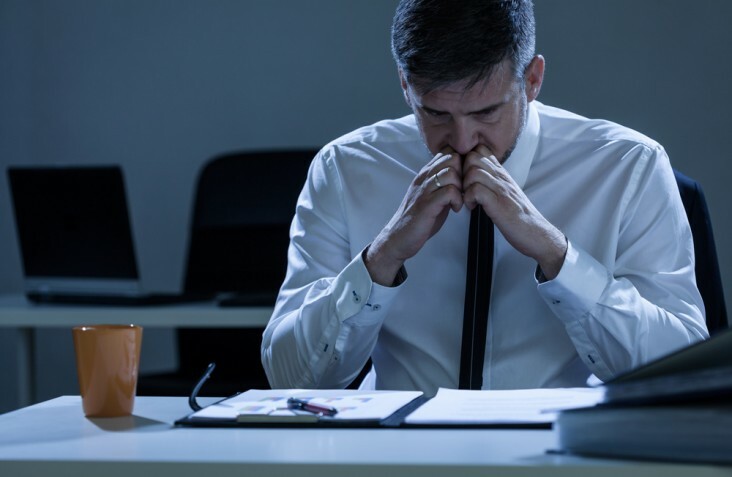 Discomforts of regular dentures and how to avoid them. We are the leaders in dental tourism in Cancun, Mexico. Our professional staff, directed by Dr. German Arzate, would be glad to give you an evaluation if you send us your x-ray, ct scans or photos. Contact our Dental Planners to ask about our prices, make an appointment or any other question you might have.